At 36U, we know that students engage with an online program more effectively when they write as they learn, and taking notes helps with comprehension and retention. The note-taking guides mirror the motion graphics video lessons and provide a structured setting for students to follow along as they learn. Spiral bound, full-color note-taking guide workbooks are available for purchase during account setup for $20 (free shipping). The workbook also includes a semester pacing guide. 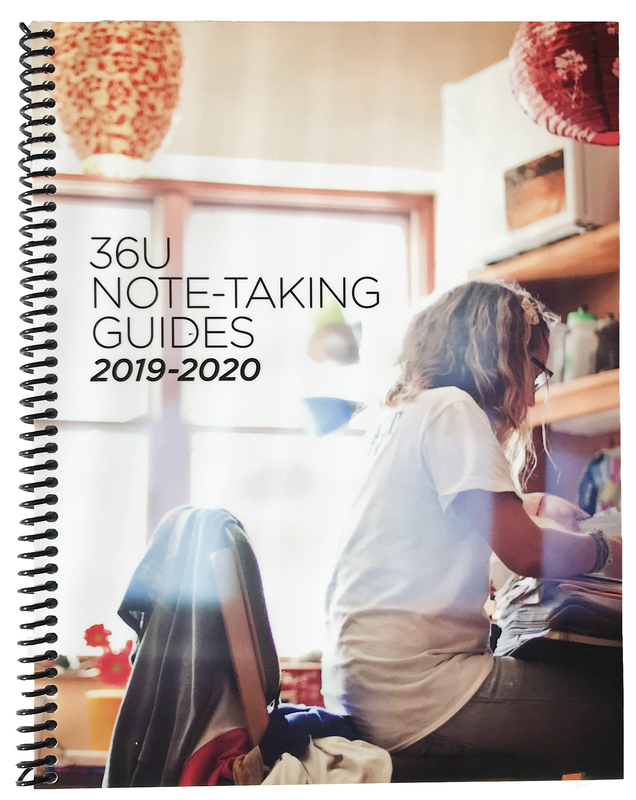 If you prefer, students can either print the note-taking guides or download and electronic fill (with Adobe software) to create your own notebook. Teacher editions are also available (free .pdf) after account creation. Just hit contact and request a copy!